The dreamcatcher is a protective talisman. 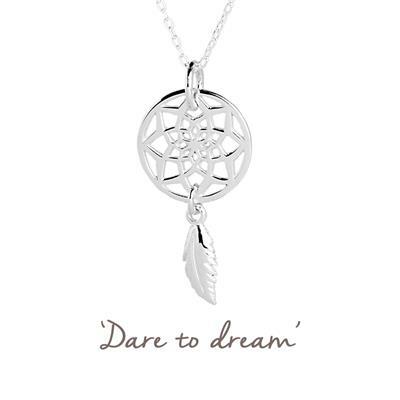 With its intricate web, the dreamcatcher ensnares bad dreams while the feather carries good dreams to the dreamer. Wear this Mantra to remind yourself to dream big and not let negative thoughts get to you! The perfect gift for: travel, new job, starting university or just to inspire someone.